New York Comic-Con caters to those of every genre of geekdom. Horror fans were not left out this year as Joe Bob Briggs, Greg Nicotero, and Sam Zimmerman were there Thursday to represent Shudder at their panel previewing upcoming shows on the streaming service. Horror fans have known the name Joe Bob Briggs for many years. I first encountered him while watching cable TV at my grandparents’ house on the Briggs-hosted MonsterVision on TNT, after a run on The Movie Channel. Specializing in exploitation and B-level horror films and using his infamous rating system of “Drive-in Totals” (Blood, Breasts, and Beasts), Briggs became a staple with horror fans anywhere. 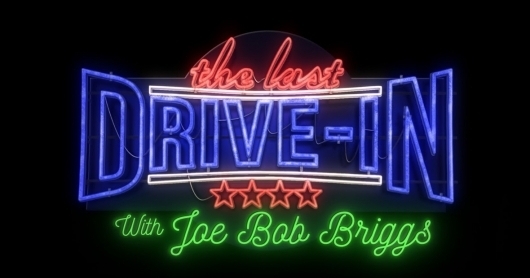 Earlier this year, Shudder and parent company AMC brought him back to do one last all-nighter, “Joe Bob’s Last Drive-In.” The event was so popular it literally broke Shudder and after going viral, Briggs was asked back for more specials later this year. 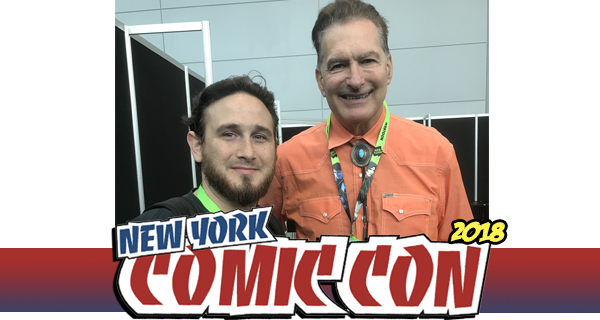 We had a chance to speak with Briggs at NYCC on Thursday afternoon during a press roundtable.